With us becoming increasingly dependent on technology, data in today's world is more precious than money. Not just the creators and users, cyber criminals also understand the value of data very well. They are always trying to steal our valuable data through theft, hacking or by using malware. Even if we are fortunate enough not to be impacted by them, there is always the risk of accidental loss - we might send emails to wrong people or worse, lose devices where our data is stored. Therefore, there is a lot of emphasis placed on data security these days. This is further more important in enterprises, and many software products try to take care of this need. One such product is Sophos SafeGuard Encryption 8, a product by Sophos, a leader in network and endpoint security. This encryption solution protects data against theft from malware, attackers or accidental leaks. All organizations this solution can adopt the practice of "always-on" file-level encryption to protect data accessed from mobile devices, laptops, desktops, on-premises networks and cloud-based file sharing applications. The highlight of Sophos SafeGuard is that it encrypts content as soon as it is created. And with "always-on" feature, one can enjoy seamless secure collaboration. With Sophos Mobile Control, you can keep your files safe across Windows, iOS, and Android platforms. 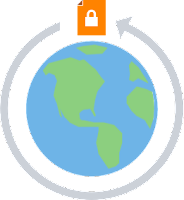 With a single click, users can easily create a password-protected file securely wrapped in an HTML 5 virtual lockbox which can be shared externally. In all cases, Synchronized Encryption proactively protects the data by continuously validating the user, application, and security integrity of a device before allowing access. Additionally, this solution provides centrally-managed full disk encryption using Windows BitLocker and Mac FileVault, making good use of technology built into the respective operating systems. Files are encrypted individually and the good thing is that they’ll remain encrypted even when transferred to a shared folder, removable USB stick, or the cloud - thus ensuring that the data remains safe. And that's not all! Compliance, Reporting, and Management is also easy with the simplified central control, which helps comply with data protection regulations and prevent data breaches. To try a free version of Sophos SafeGuard Encryption 8 today, you may visit the Sophos website HERE.